Dolby Cinema: Dolby and AMC plan to reinvent the cinema | What Hi-Fi? Dolby and cinema chain AMC have teamed-up to introduce Dolby Cinema, a new cinema concept complete with Dolby Atmos and Dolby Vision, laser projectors, HDR films and vibrating chairs. Dolby Cinema will see the company's latest AV tech, Dolby Vision and Dolby Atmos, installed in AMC’s Prime cinemas - the company's premium cinemas, which come complete with upgraded reclining seats that can vibrate to help enhance the level of immersion. The screens will use a version of Dolby Vision designed specifically for cinemas. This means dual 4K laser projectors which claim to produce "incredible blacks and a contrast ratio that far exceeds any other image technology on the market today". Specially mastered, high dynamic range (HDR) versions of the films will also be used in the cinemas. But what’s the point of a great picture, if it hasn’t got great sound? Enter Dolby Atmos. We’ve experienced Atmos in a cinema and in home cinema systems, and we’re very impressed. In a cinema situation, more speakers can be placed along walls, overhead and even behind the screen, in an effort to create an even greater, more enveloping sound effect. Kevin Yeaman, President and CEO of Dolby Laboratories, said: "Dolby Cinema delivers a unique moviegoing experience with rich and vivid imagery and lifelike sound. "It will transport audiences across American into the ultimate moviegoing experience." AMC plans to have at least four AMC Prime cinemas installed with Dolby Cinema by mid-May 2015, and 50 by December 2018. There’s no word on a UK rollout just yet, but with an AMC cinema in Manchester, we’re hoping we’ll get some good news in the not too distant future. 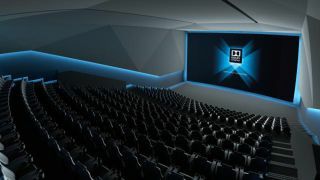 The Dolby Cinema launch comes hot-on-the-heels of fresh details on new surround sound format, DTS:X, the DTS rival to Dolby's Atmos.